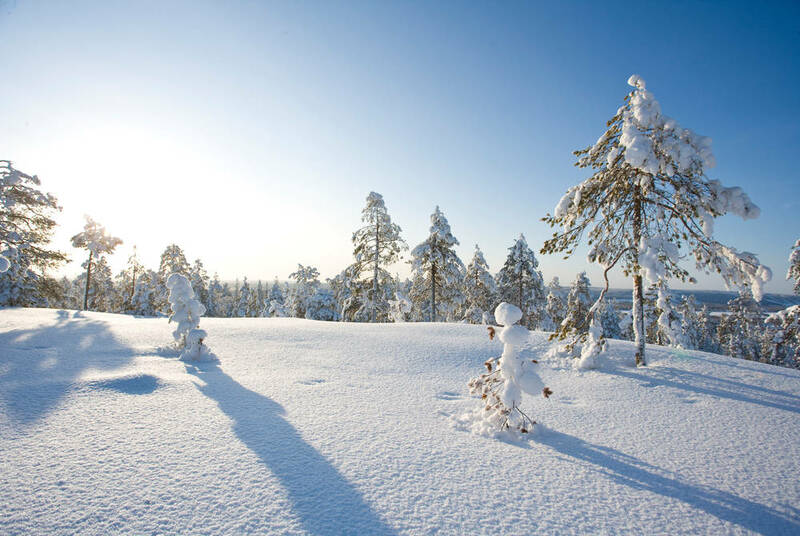 A winter visit to Rovaniemi, deep in the heart of Finnish Lapland, is a truly magical experience. 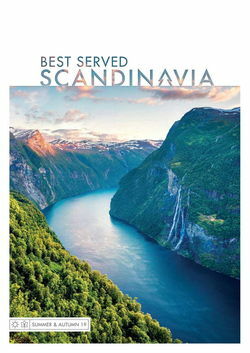 And, while children will doubtless be sated with Yuletide visits to see Santa and his elves, there’s plenty here for visitors of all ages seeking thrills and adventure in one of Scandinavia’s most beautiful regions. 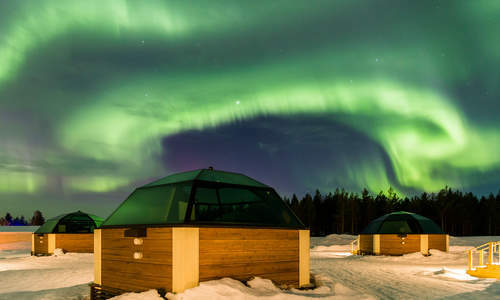 With four nights in a cosy log cabin, this special New Year break comes complete with husky adventures and snowmobile safaris, all making the most of the town’s unique location right on the Arctic Circle. 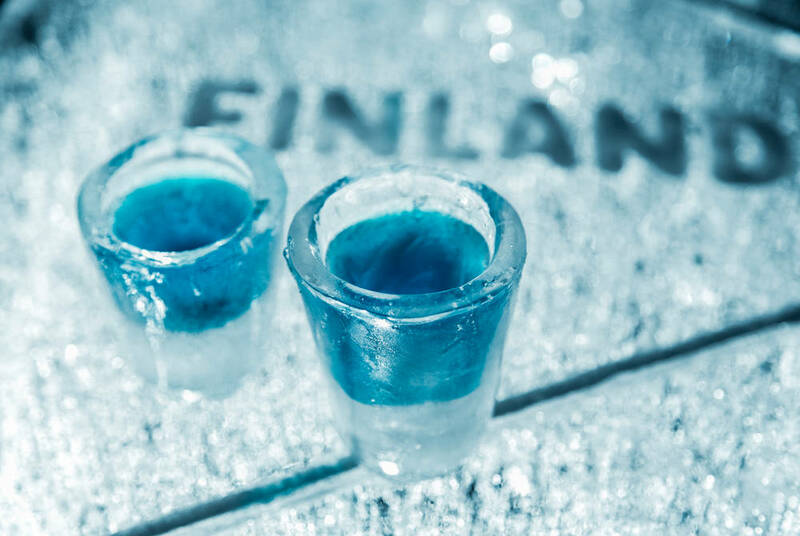 What's more, to help you see in the new year in style, we’ve included a spectacular end-of-year celebration at the Arctic SnowHotel, complete with gala dinner, fireworks display and a disco at the hotel’s very own ice bar. 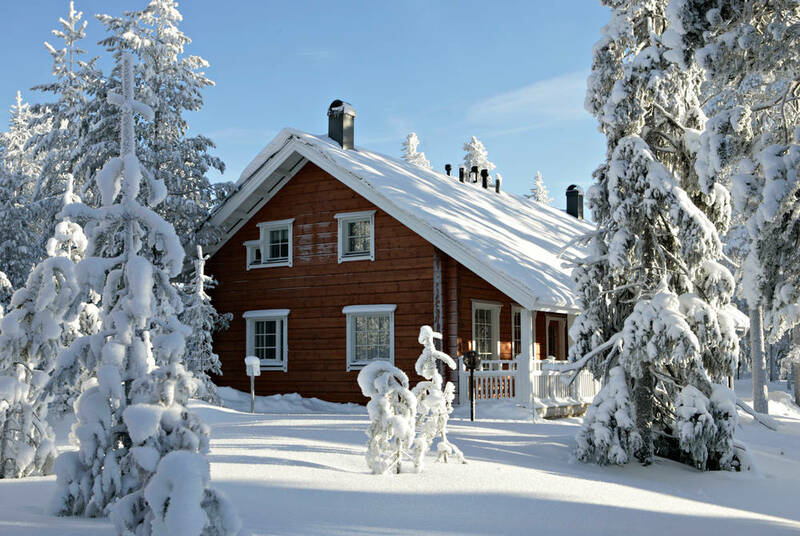 Fly from the UK to Rovaniemi and transfer to the Safartica office in Rovaniemi, where you'll be provided with your warm clothing before heading to lunch at Nili Restaurant in the town centre. 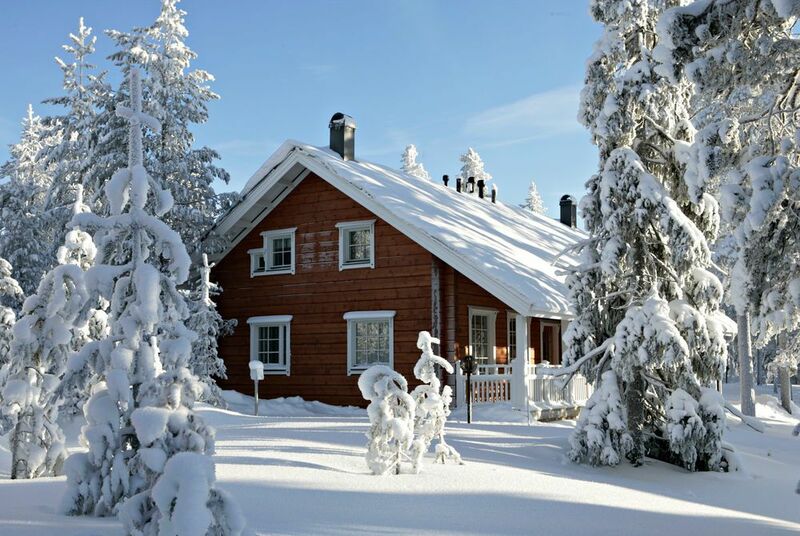 Then, with a 4pm check-in, you'll transfer out to your characterful log-cabin hotel. 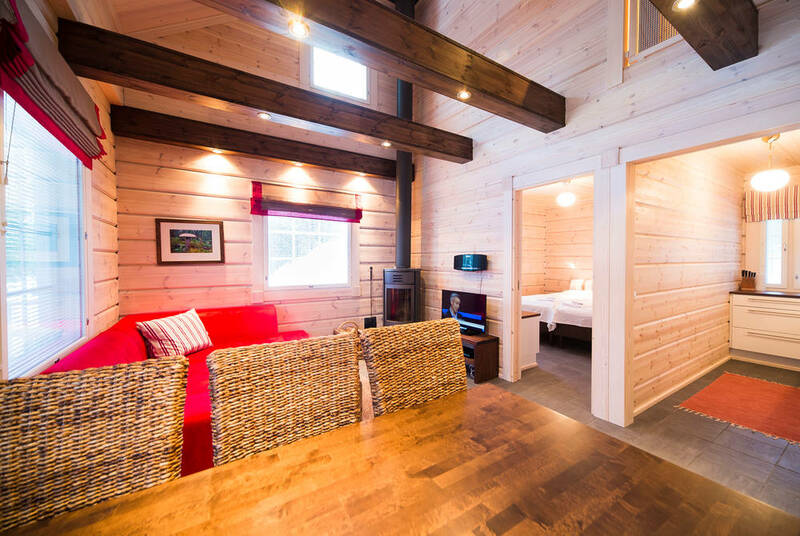 With its timber beams, roaring fire and private sauna, it’s a wonderful place to relax between excursions. The rest of your first day is free, however, so perhaps head out to make the most of the neighbouring ski centre or make use of the hotel’s complimentary toboggans. Then, head to dinner at the Royal Reindeer, where traditional delicacies include the likes of moose, smoked reindeer and Arctic char. 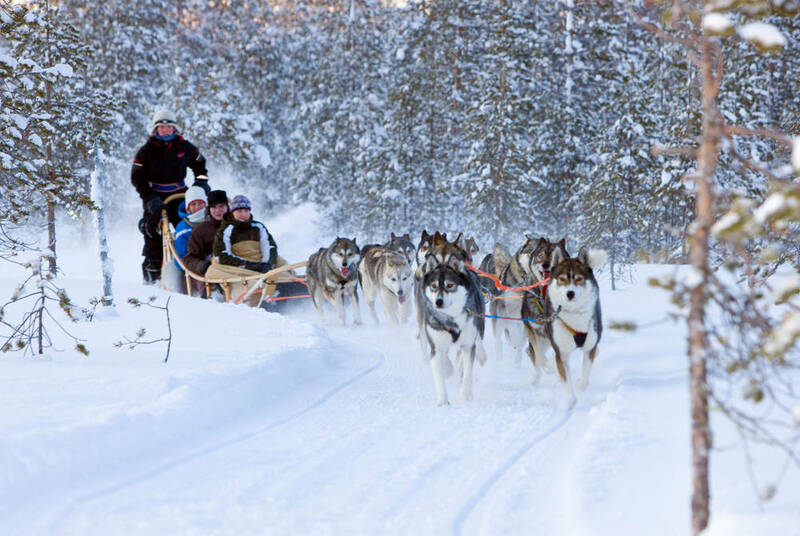 After breakfast back at Sky Ounasvaara, you’ll head out on the first of your included adventures – husky sledding. Leaving town, you’ll make your way out to a nearby farm where your eager team of huskies are waiting. Then, after an introduction to the art of mushing, you’ll strike out into the wilderness with your furry companions on routes tailored to the conditions and individual abilities. There’s even the chance to drive the sled yourself as you take in the beauty of the wintry surrounds. 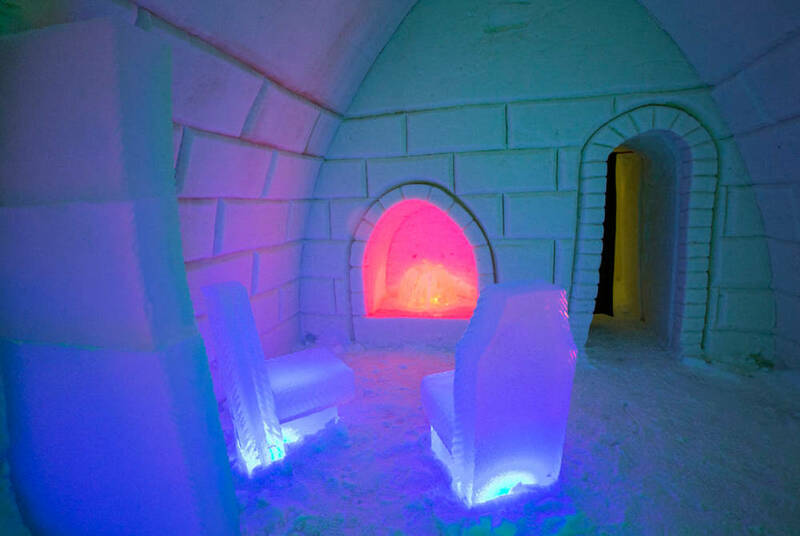 Then, after an afternoon of sauna relaxation at your hotel, you’ll transfer to the Arctic SnowHotel to begin the end-of-year revelry. Kick things off with a delicious buffet dinner – there’s everything from smoked Arctic salmon and crayfish relish to lingonberry and white chocolate bavarois – before joining the party for drinks, fireworks and dancing; there’s even mini snowmobiles and tobogganing for the kids. Finally, at around half-past midnight, you’ll return by coach to your Rovaniemi hotel. After celebrating late into the night, you'll be glad of a lie in, so we've left today free for optional excursions, if you wish. And, there's much to choose from, with a full spread of options ranging from reindeer safaris to a visit to Santa's Village. Alternatively, book a transfer into town for a day exploring Rovaniemi itself. Then, as darkness descends, why not head out on a Northern Lights picnic? 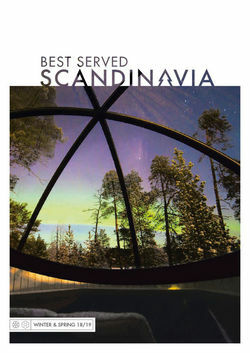 On this recommended tour, you'll join an expert guide who, depending on conditions, will select the perfect spot for viewing the aurora. 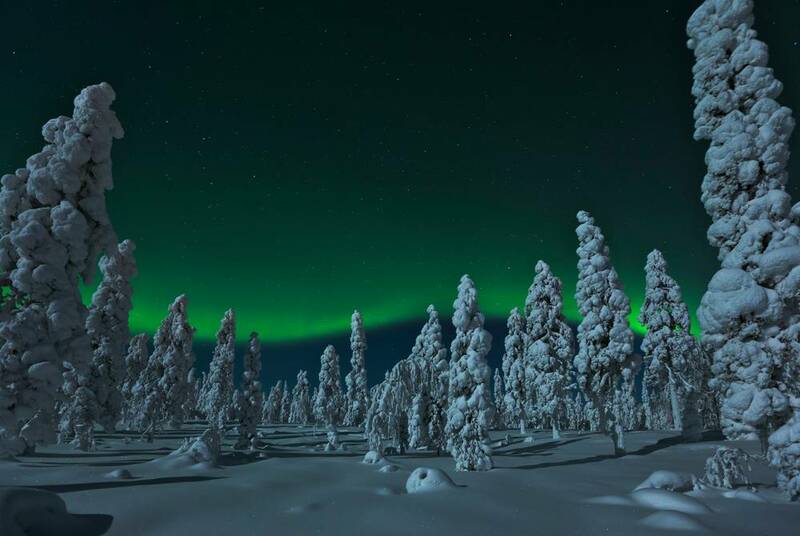 Heading out into the remote wilderness, your evening will pair more Lappish delicacies with the chance to see the Northern Lights' kaleidoscopic swirls. 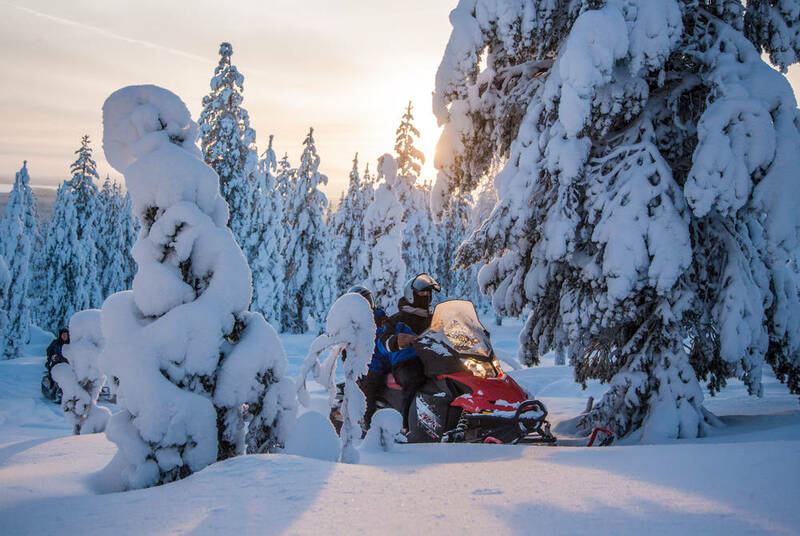 Today, you'll enjoy the thrill of a snowmobile safari as you dart along pristine forest trails and frozen rivers to admire stunning winter views, pausing for photos along the way. You'll then stop at a remote spot in the wilderness to try your hand at ice fishing. Your guide will teach you how to drill a hole in the thick ice and prepare your rod and bait before you sit down to a fireside meal, hopefully including your very own catch of the day. End the day back at the hotel and a final delicous dinner at the Royal Reindeer restaurant. It’s time to say goodbye to Finnish Lapland as, after a final breakfast at Sky Ounasvaara, you transfer to Rovaniemi Airport for your flight home.